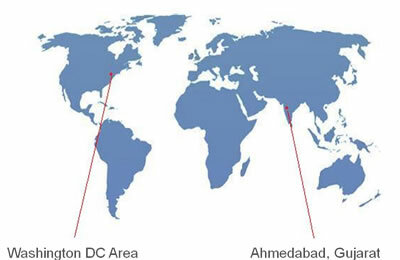 Octalsoft is headquartered in Washington DC metropolitan area with clients across DC, Maryland and Virginia. Our IT specialists support on-site consulting projects, while our internal software development team offers remote application design, database programming, testing, and maintenance support. Octalsoft specializes in developing custom software applications. Our expertise lies in designing and developing simple and easy-to-use applications that addresses complex business requirements. Our team has significant experience in developing tailor-made, database driven software applications for business across several verticals. Whether you’re looking for a custom enterprise application, enhancing your existing business application, upgrading your personal database like Access, or web-enabling a bunch of excel worksheets, our team has expertise and experience in designing and developing a scalable software solution for you. Our team’s skills and expertise across several technology components, software tools, and application integration techniques ensures the software solution is a perfect fit for your business and environment that is easy to use and operate. Our proven Delivery Model and integrated project team approach revolves around your requirements. Our transparent and proactive project management and change management approach keeps you up-to-date with your project status and ensures we deliver our projects on time and within budget.